The leading independent specialist for windscreen replacement and windscreen repair based in Bristol and serving all of the Bristol area. National Windscreens Bristol fitting centre provides windscreen replacement and windscreen repair services to businesses and individuals throughout Bristol and the Bristol area. 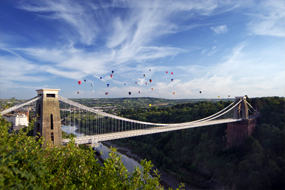 Bristol is one of the largest cities in the south west of England, and its prosperity has been linked with the sea since its early days. In more recent years the economy has depended on the creative media, electronics and aerospace industries. The city is well connected to the North and South by the M5 and to the East and West by the M4. The M32 provides access to the city centre from the previously mentioned motorways. The recent redevelopment of the city and opening of Cabot Circus means there is plenty to do in the city centre. The Bristol windscreen fitting centre and its mobile vehicle glass technicians service the needs of Bristol and the surrounding area including Avonmouth, Clifton, Portishead and Clevedon. With 108 fitting centres and over 800 mobile technicians, National Windscreens operates the UK's largest windscreen repair and windscreen replacement network. The company provides low cost, high quality windscreen replacement and windscreen repair from its Bristol fitting centre 24 hours a day, 7 days a week, 365 days a year. Repair and replacement of all types of vehicle glass including windscreens, rear windows and side windows is undertaken throughout Bristol and all of the Bristol area.